China Grove, N.C. -( June 19, 2018)- Despite the heavens opening and practices rained out, there were pole positions, fast laps and podium finishes abound. Mother nature started the race weekend dumping rain showers on the upstate New York track, all but washing out both practice sessions. That didn’t stop Precision Performance Motorsports from taking a challenging weekend by the horns and walking away with some trophies and seats atop the time charts. Indy 500 driver Pippa Mann and co-driver Patrick Liddy took their #47 to the 2nd step of the podium not once, but twice. 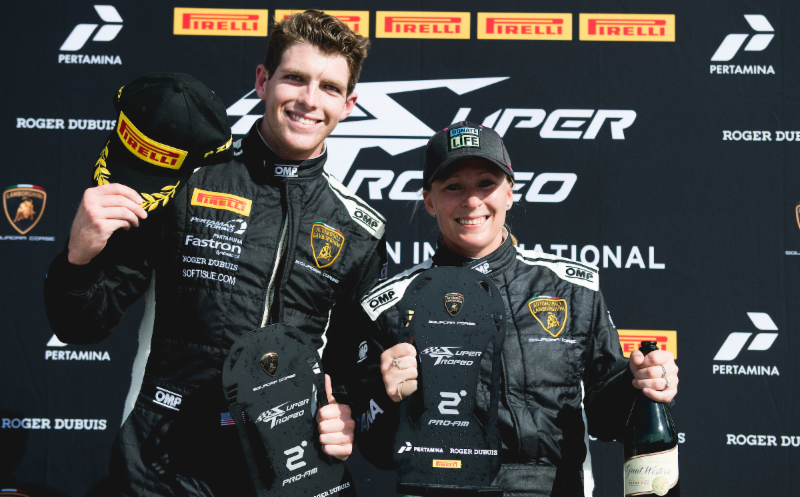 “I’m very grateful to Precision Performance for helping me showcase some of my Indy 500 sponsors this weekend in Super Trofeo” says Pippa. “Patrick was an incredible co-driver, and it was great to leave the weekend with two PRO-AM podium finishes.” Patrick Liddy is emerging as the primary challenger for the Pro-Am category title. 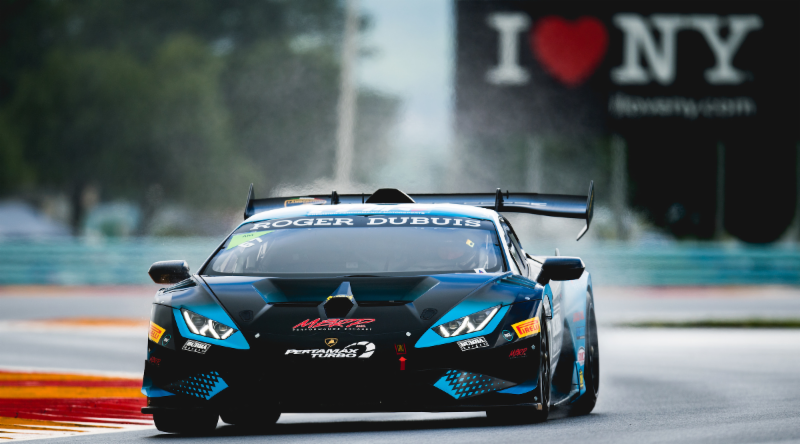 PPM takes to the track again for the 3rd stop on the Super Trofeo schedule at the legendary Road America circuit in Elkhart Lake, WI on August 4th & 5th.